Even though Marti Struever is no longer with us, we are pleased to offer a shopping experience in her namesake online art gallery. 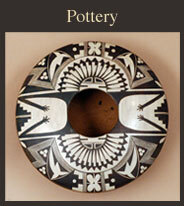 A look inside should provide you with a peek into Marti's life passion...Native American pottery jewelry and other fine pieces like Kachinas, weavings, paintings, and beadwork. 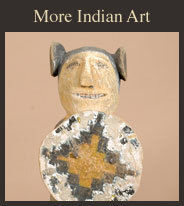 Take a look at our featured artist section which showcases the very best of American Indian art through the works of a single artist, expressing the wave of innovation that has swept into the medium as well as the longstanding history that has upheld the form. While we are no longer adding new works to MarthaStruever.com, we are selling our remaining website pieces at special sale prices. If you are interested in purchasing a particular piece, please email bonnie@marthastruever.com. She will gladly assist you. 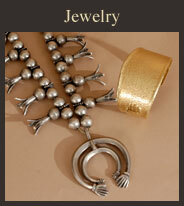 To see new American Indian jewelry additions, please check out our upcoming sister website Turquoise & Tufa. 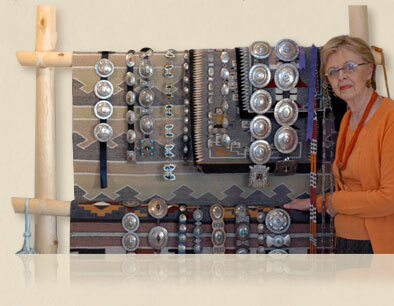 We hope you enjoy Martha Struever's online gallery, and if you're ever in Santa Fe and would like to arrange a private, concierge appointment, please contact us since we operate by appointment only.